Without a doubt, one of the things that cruise guests look forward to (or dread?) is the seemingly endless supply of food offerings on board. Last month, I had the opportunity to cruise the Mediterranean with Celebrity Cruises, on board the Celebrity Constellation. 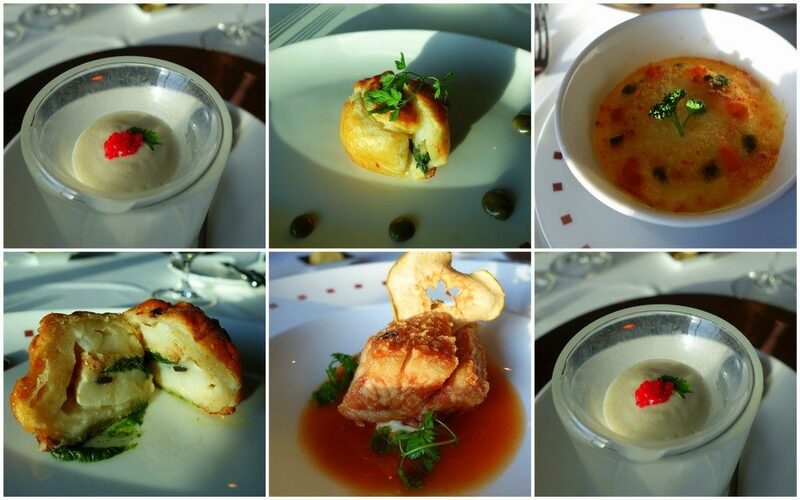 To say that I was well-fed during the 12-night cruise would be the understatement of the year. And though I speak only for myself, I think all guests can also say that they never went hungry in the cruise. 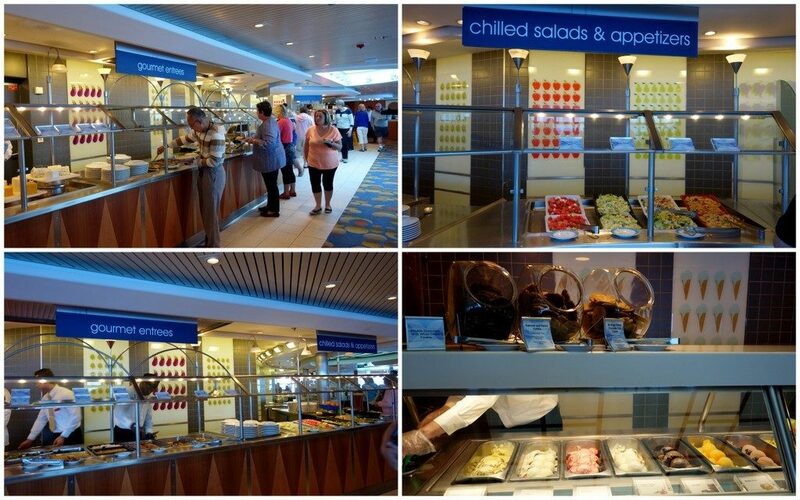 In this post, I will attempt to show you all the restaurant choices in Celebrity Cruises, and also how you can try to maintain being fit / having healthy eating habits in the cruise. How does Celebrity Constellation feed thee? This is the main sit-down restaurant that is open for breakfast, lunch and dinner. For dinner, there are 2 seating times available and there’s also an open seating plan available. 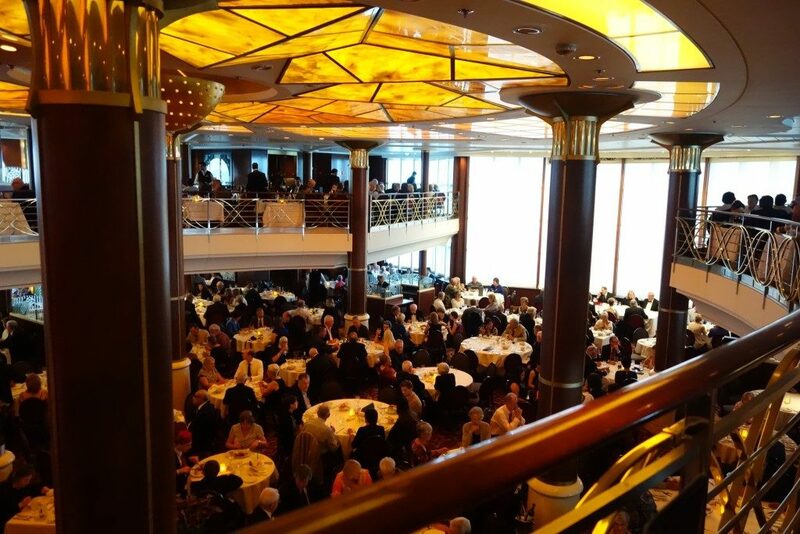 Normally when you book a cruise, you are alloted a time when you would normally have your dinner. We pretty much had all dinners here (you can also opt to have a buffet dinner at Oceanview Cafe), and from the second night onwards, we had the same table every night and were served by the same Waiter and Assistant Waiter. If you drink wine (unlike my cousin and I), you will also have a dedicated Sommelier. 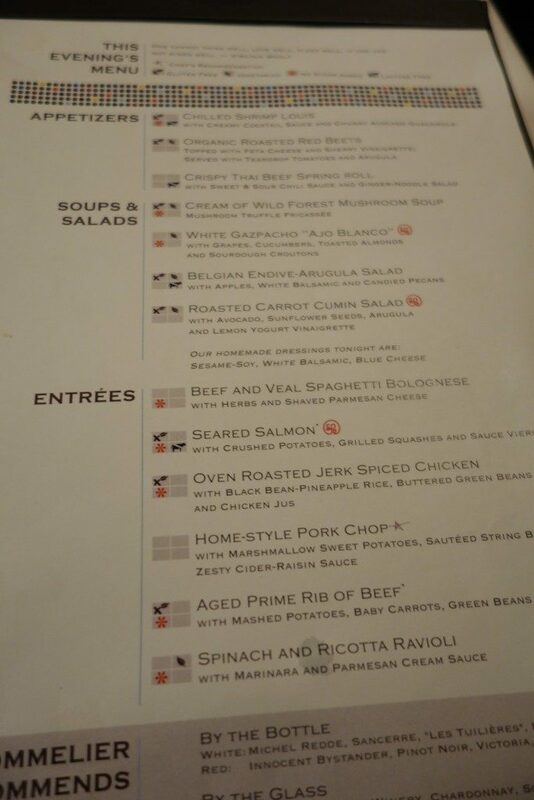 They have a menu that changes every night, but also a “Celebrity Favourites” option next to the menu of the day to serve classics such as Grilled New York Sirloin Steak and Broiled Atlantic Salmon. San Marco Restaurant is also flexible in that you can mix and match menu items, and you can also specify how you want certain meals cooked. For example, I found out that I actually liked the Broiled Atlantic Salmon when it is pan-fried. So I had this as my Entree almost every night. The staff couldn’t have taken care of us better. 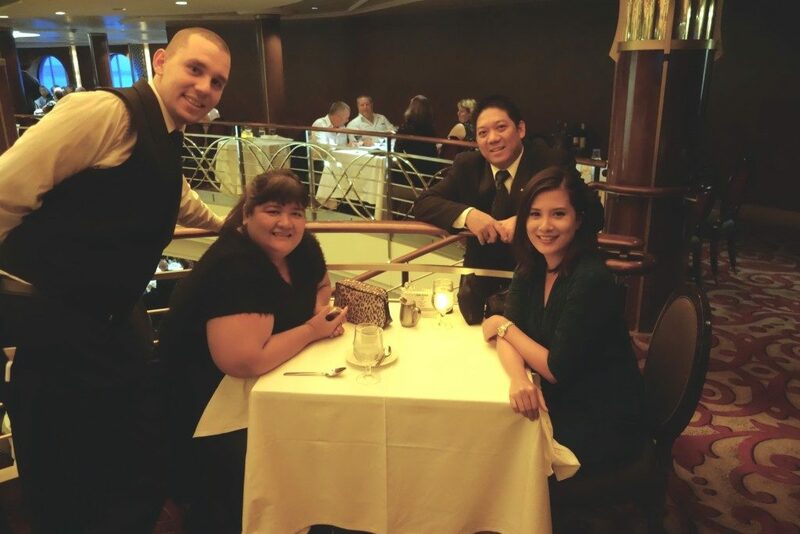 Our waiter, Limon from the Philippines, and Assistant Waiter Sergei from Ukraine have over 20 years’ experience working for Celebrity Cruises between them. They make a great tandem and are very observant, always knowing to serve me still water with no ice and my cousin black coffee with dessert- only after having requested it once. This is the buffet option that is pretty much open 24 hours. I take my lunch here everyday as I love the wide buffet choices. Lots of salads, pizza and carving stations, an Asian section, and loads of dessert stations. I will later explain why I prefer buffets over sit-down dinners (most of the time) and I rank the Ocean View cafe highly. It can be tricky to find free tables during peak hours though. 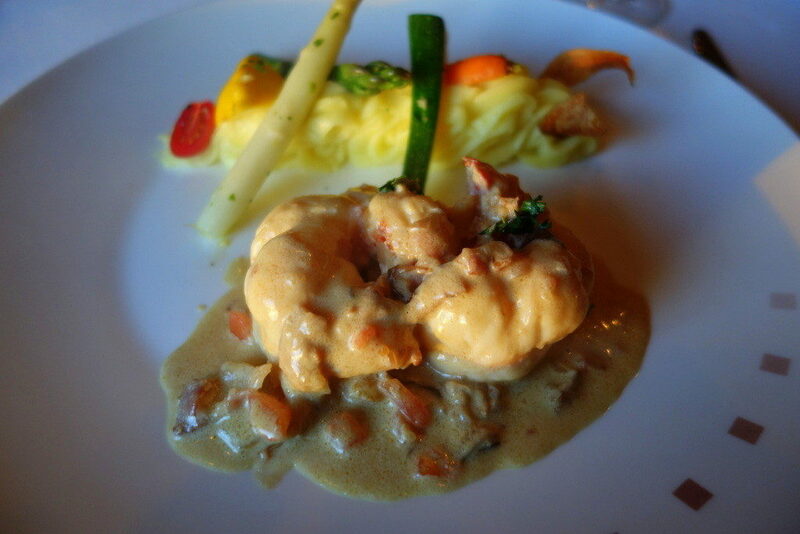 But overall its always been a pleasant dining experience for me. 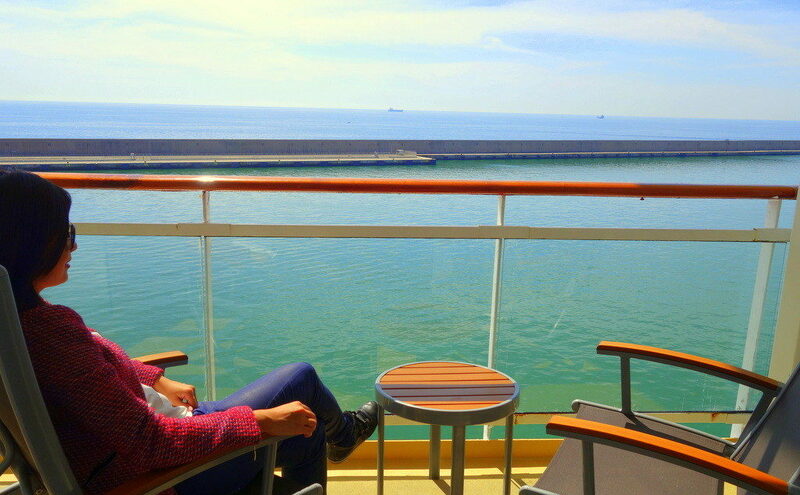 This is the sweetest spot every afternoon at Celebrity Constellation. You can have tea, gelato and free cakes while listening to a live combo performance of guitar and violin from the duo Reka and Julien. If you want to dine somewhere different, Celebrity Constellation has 2 specialty restaurants available. 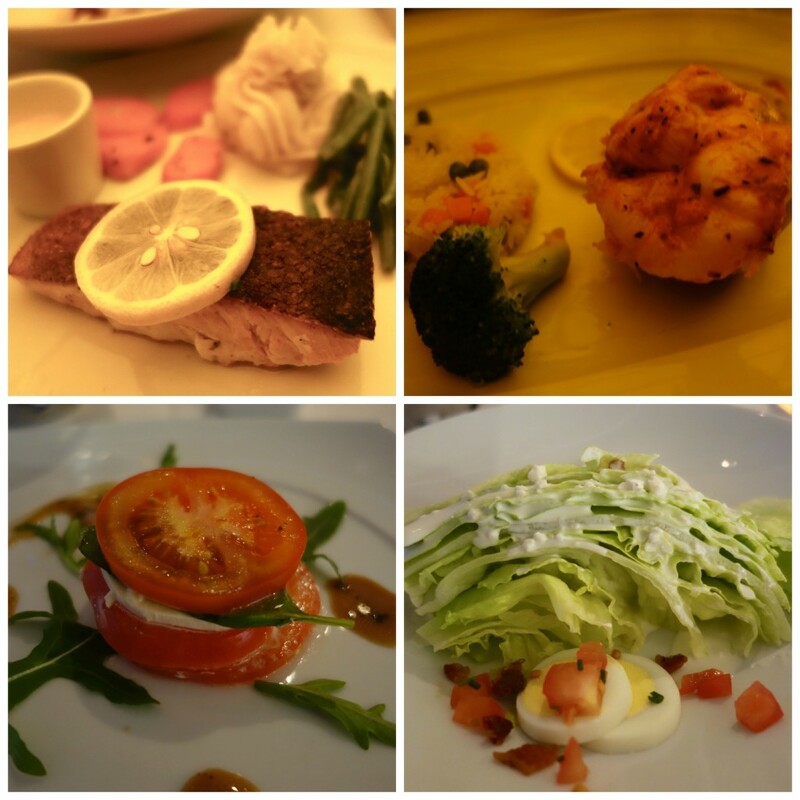 Ocean Liners is the French restaurant that is open for dinner only between 6PM -10PM. Reservations are required, and specialty restaurants are not included in any food and beverage package so they are paid for separately. The starters were absolutely wonderful. Scallops, souffle, and crispy pork belly. 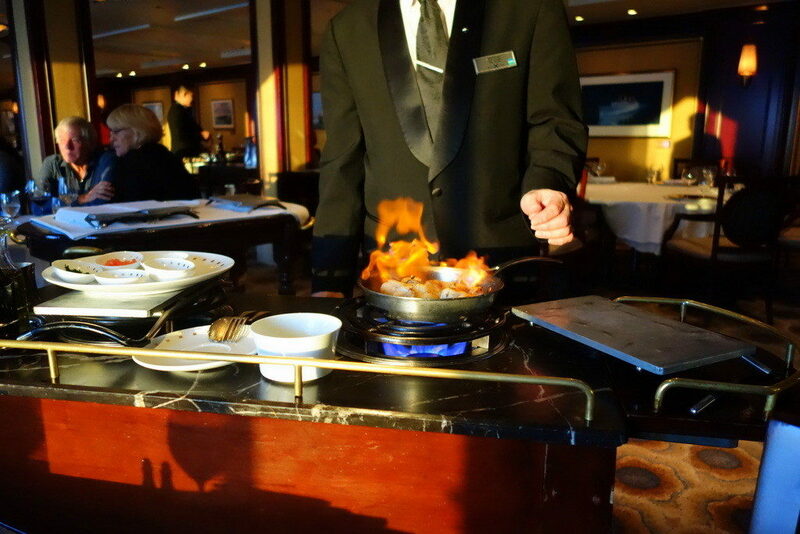 The star of the night would have to be the entree of Jamaican lobsters, which were flambeed right in front of us. 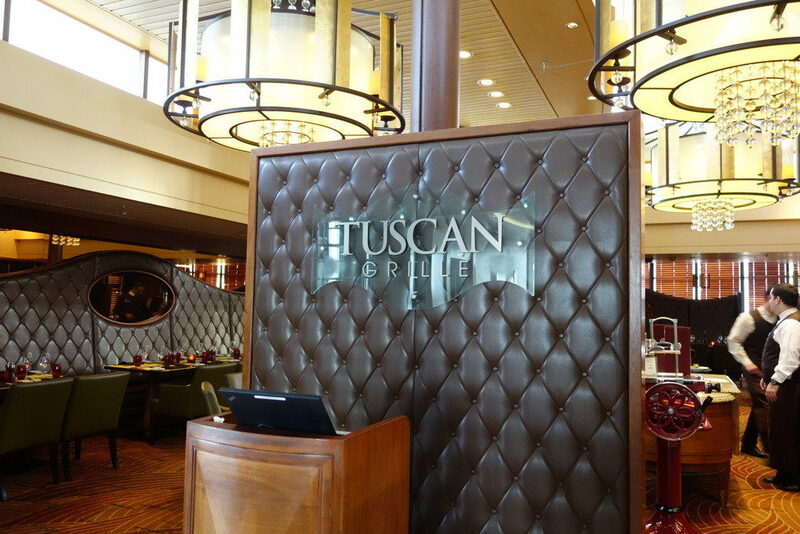 The other specialty restaurant is a formal Italian called Tuscan Grille. This restaurant is also open only for dinners, daily from 6PM – 10PM. Apart from these 5 main restaurants, there’s also Luminae and Blu (for Celebrity Constellation’s Aqua Class guests), the Spa Cafe by the Canyon Ranch Spa, casual dining on Bistro on Five, and also grilled/bbq food by the Poolside Grill from 11:30am – 06:00pm, weather permitting. “Don’t worry Madam. 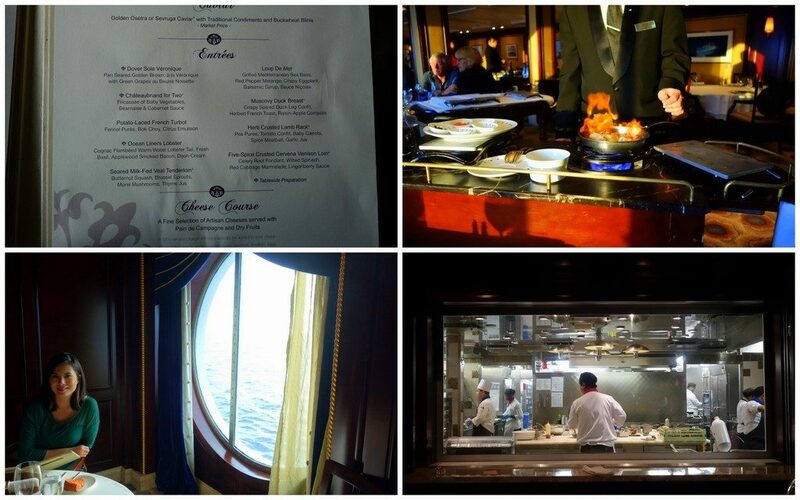 All meals on the ship are zero calories.”, our waiter Limon, told me with a wink. This was after a very long pause of hesitation when he asked me what I wanted for dessert. Is it possible to not gain weight while cruising? Of course it is, it just takes an inhuman amount of self-control and discipline, none of which I have. When I got home from the trip, I decided to bite the bullet and jumped straight on my weighing scale, expecting a gain of 3 kilos at the very least. The scales read the exact same figure pre-cruise. I tried again and again, and even changed the weighing scale batteries. The amount may have remained the same, but I can tell you that there were times (on the cruise) that the seams and hems of my clothing were engaged in an Olympic level tug-of-war. Some of the things below, I personally did, some I have done in my daydreams. This one is a no-brainer and one of the most common ways to ward off excess weight while being in a cruise. The gym is open till 11PM , and there are fitness classes that are held inside the gym and in the pool deck from early morning, mid-day through late afternoon. Classes are run almost all hours of the day so there’s a time slot for people who prefer various times during the day to exercise. 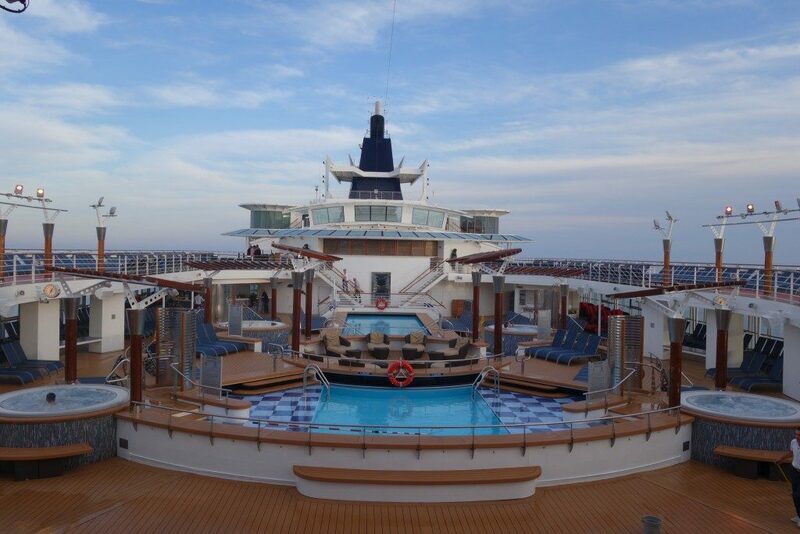 There are both outdoor and indoor pools in Celebrity Constellation, and while none of them are Olympic-sized, they are still big enough for someone to do either round laps or just quick laps back and forth. This won’t work for everyone but it does work for me. I really enjoyed the Ocean View Cafe buffet because I can control the amount of food I put on my plate. I also prefer eating little bits of this and that, which you won’t really get from a sit-down dinner. While the meals during sit down dinner at San Marco Restaurant were by all means wonderful and you also have the healthy option in every menu, it can be a little too much for me. 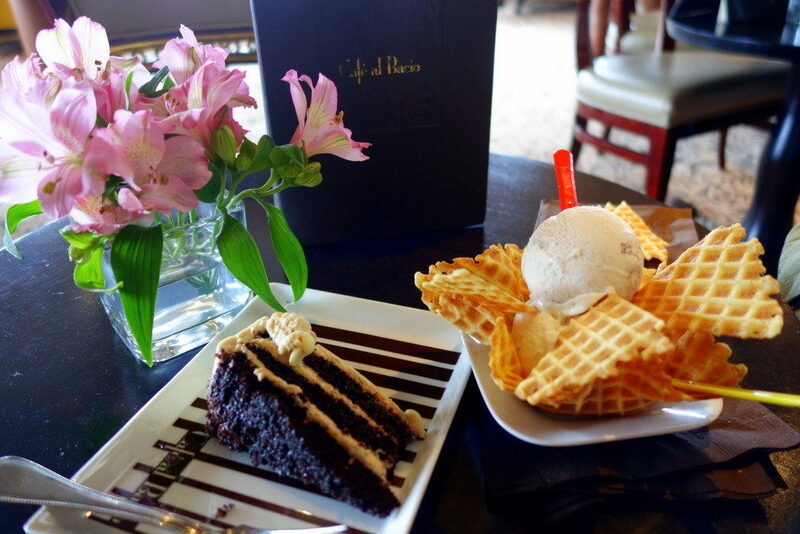 4-course meals (with desserts) are a treat for me and I found it heavy to have it nightly. The reason why I eat much more during sit-down meal is that I tend to clear everything in my plate (except for certain side dishes). It’s probably how I grew up but I’m not used to leaving the table with a messy plate. So I end up inevitably eating more. Whereas eating at the buffet, I can be certain that I can finish the amount of food I choose. 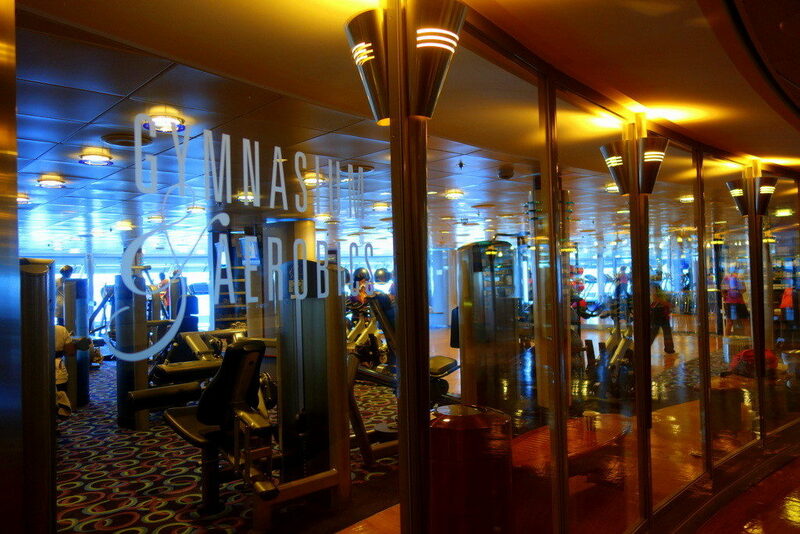 This is probably the most fun way to keep the weight healthy during cruises. There’s nightly music and dance in two venues at the Celebrity Constellation. Live music at the Rendez-vous bar, and also DJ/ Club type dancing at the Reflections lounge. It’s a fun way to not just work out but also to socialise and mingle. During port days, when the ship docks in a city, there will be shore excursions (trips) available for you to take. Most tour descriptions will indicate the difficulty of walking on each tour. If you are fit (or want to be fit), choose the one that has the highest difficulty of walking. 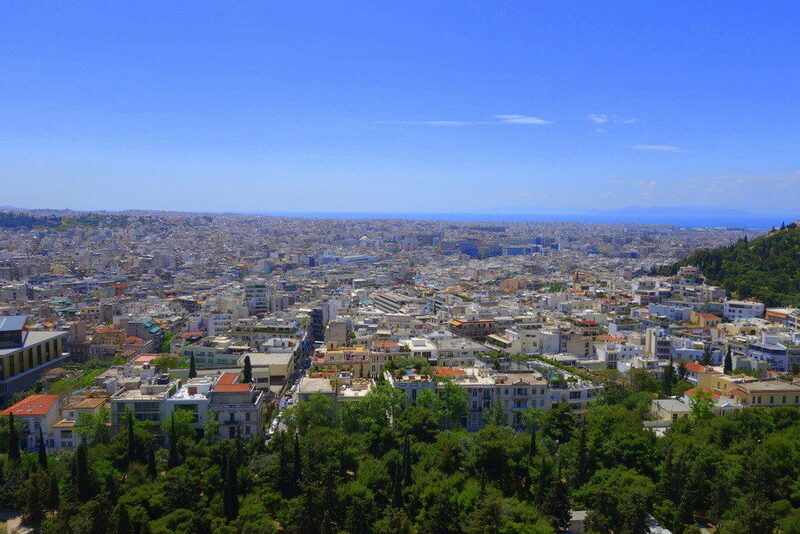 When our boat docked in Athens, I deliberately chose a walking city tour of Athens that had a warning about the level of difficulty of the tour. The “workout” (the uphill climbs at least) did feel great , especially after spending such a long time inside the ship. On the subject of going on excursions, while you are already out and about in the port city, try to have your meals there. 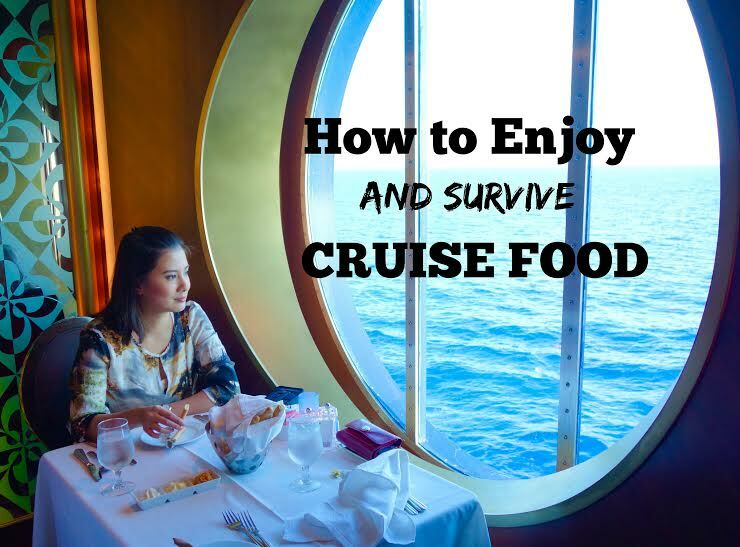 Not only is this a great way to get to know a city (via its food especially as the ship docks maximum of 2 days per city), but chances are what you will have won’t be as rich as the food in the cruise. There are 11 decks in Celebrity Constellation, and the lifts are very busy transporting people to get to and from staterooms, to restaurants, to theatres, etc. If where you are going is just 1-2 (or even 3) floors away, try using the stairs. They’re not very steep anyway, and it’s still in relatively comfortable conditions: carpeted steps, indoors. When you book a cruise with Celebrity Cruises, you automatically get meals at the buffet and San Marco Restaurant. The drinks that comes with this is water, tea / coffee, iced tea, lemonade. No softdrinks. You will have to upgrade to a drinks package to include softdrinks in this. While some bemoan that this should be included in the basic booking, I’m actually very happy with this set up. I don’t drink alcohol, soft drinks or juices so I’m perfectly fine with water and tea. 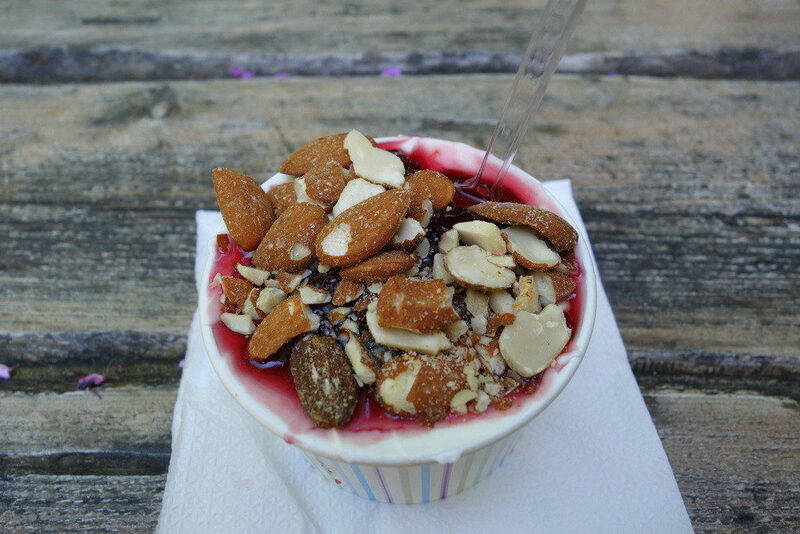 Just imagine all the sugar you would have avoided if you stick to the basic food package! I’ve never really done this, but on one of the days, I saw a woman enter her room with a plate full of food from the buffet (Yes I really loved that buffet so much that I recognise the plates so well). At first, it struck me as odd. But later on it made sense to me. When you eat in your room, you will very likely not get out of your room and go to the buffet again (probably 2-3 floors up) to refill your plate. There were many lunches when I’ve already finished my plate and I was already full, but it was just so tempting to take a few steps back to the buffet and get a second round. 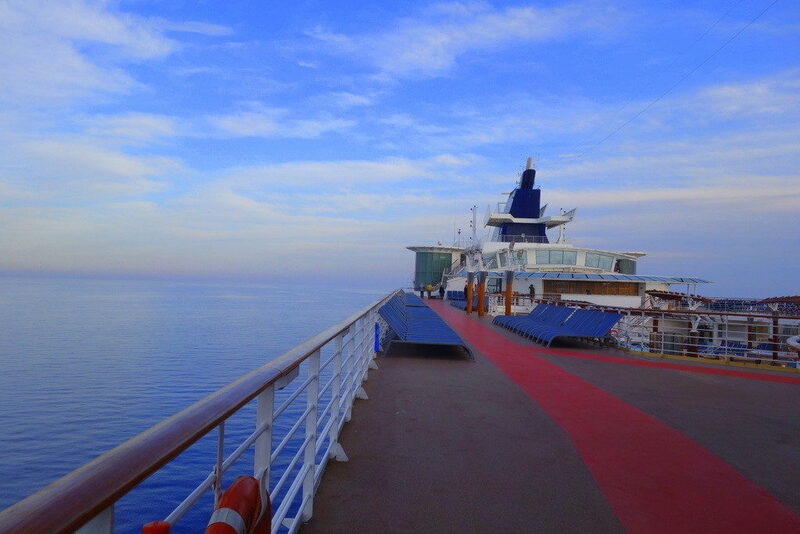 The top deck of Celebrity Constellation has a jogging track (red) that goes around the inner circumference of the ship. The red track is also in a non-slip texture so it’s extra safe to run / jog or stroll. You surely can’t beat the views while jogging! There you go, my personal advise on how you can have your cake in the cruise and eat it too. Have you been in a cruise before? How did you like the food setup/ abundance? 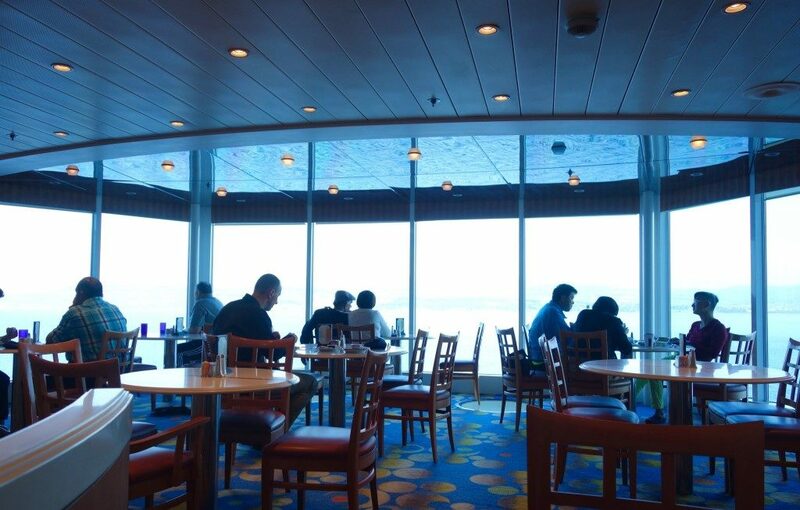 I cruised as a guest of Celebrity Cruises , but all opinions and thoughts of this post are mine. There is no obligation to write or reflect the review in a favourable light. Fares for the Celebrity Cruises ANZAC Commemorative Mediterranean Cruise start from $1899 a person, twin share, for an inside stateroom, excluding airfares to/from Rome. Thanks Suze! I still suspect my weighing scale is broken…and even if the numbers stayed the same, the clothes were complaining 😉 Yes the lobster was really good, loved the sauce that came with it too! Good tips for keeping up the exercise when at sea and on excursions. You did so well not to pile on the weight. Not having soft drinks is always a good plan, as is avoiding alcohol, but I don’t think I could do it! Love the photos here by the way, well done.